Some cinemas would have additional entertainment such as educational or community talks, yo yo competitions, singing and talent shows. Sometimes these would take place before the film screening or during the interval period. The children in the audience would be invited to participate and would often willingly do so in return for a free ice cream. 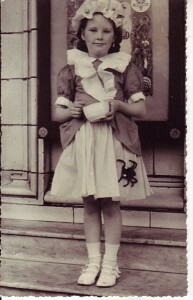 Some cinemas ran fancy dress competitions as a way of getting audience interaction and entertainment. 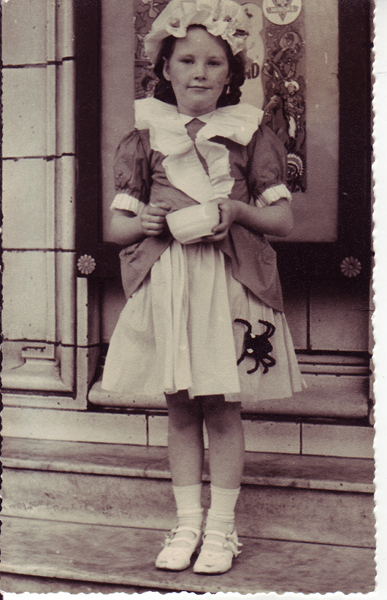 Below is an image of Margaret as a child dressed as Little Miss Muffet for a fancy dress competition in the Gainsborough Cinema. The ABC Minors Poster can just be made out behind her.